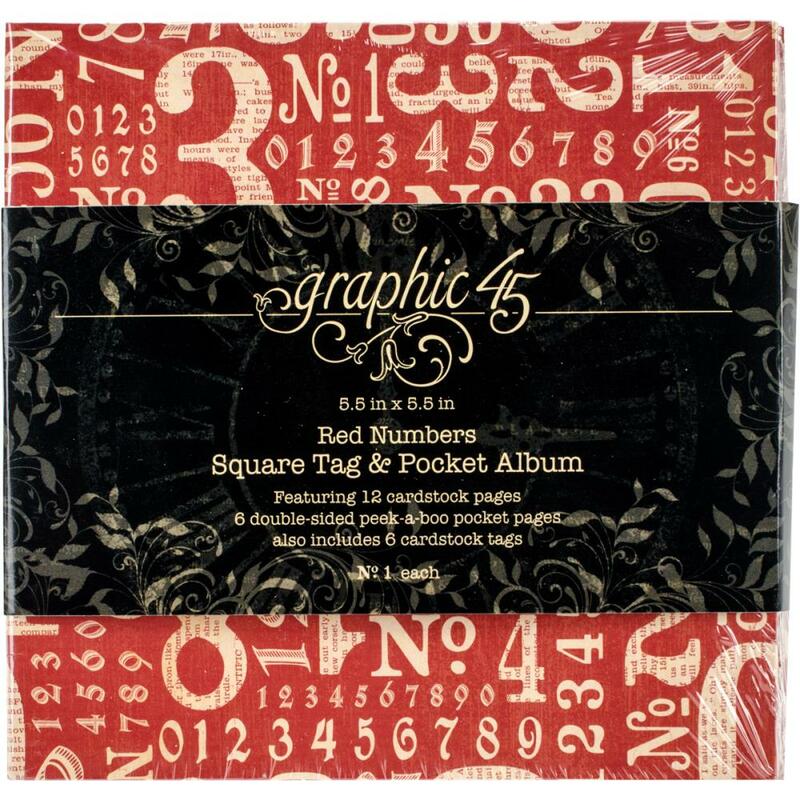 Graphic 45-Staples Tag And Pocket Album: Red Numbers. The perfect album for showcasing your photos and more! 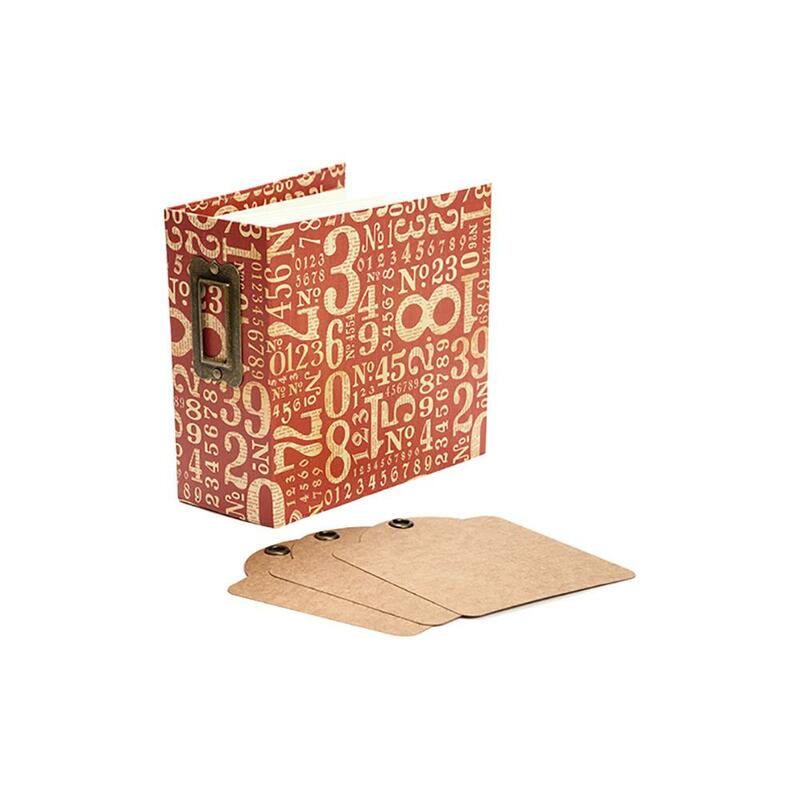 This package contains one 6x6-1/4x2-3/4 inch album with twelve 5-1/2x5-1/2 cardstock pages, six double-sided peek-a-boo pocket pages and six cardstock tags. Comes in a variety of designs. Each sold separately. Imported.